For the record, I am not a Yankees fan ;) (I know, I know - it should be a Blue Jas hat Adam! 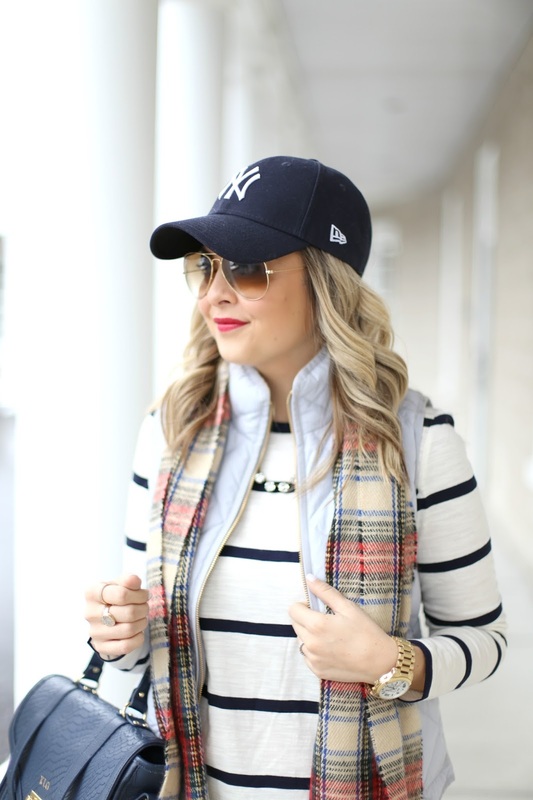 ), but it seems like they have THE perfect shade of navy blue for a baseball cap that just seems to go with everything. 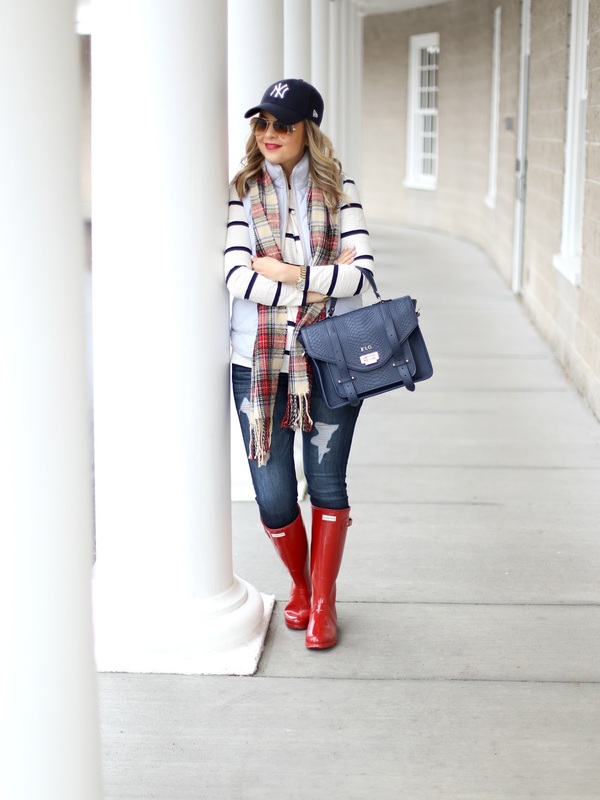 It seemed like this entire weekend rained from start to finish so naturally, out came the Hunter boots and baseball cap. Hope everyone has an awesome week! 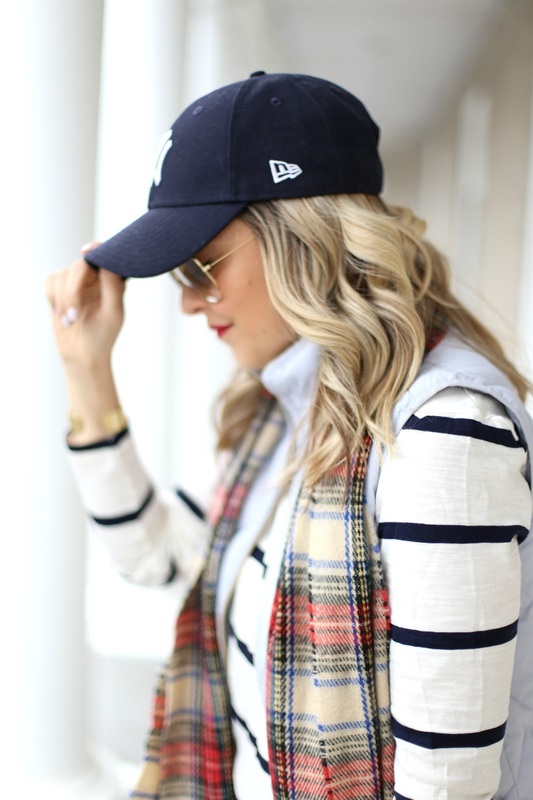 Plaid and stripes are my favorite!!! I love the red boots with those. This is such a great look! 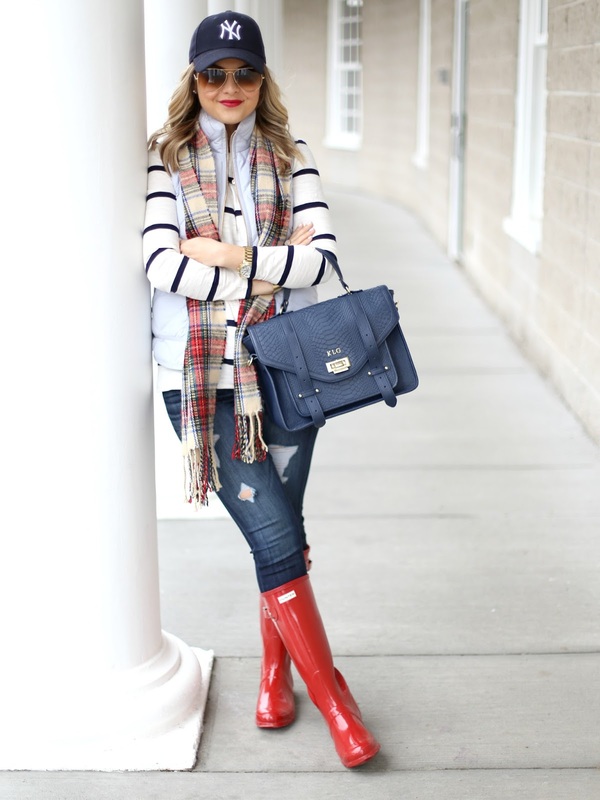 I love how all of the pieces flow so well together and navy and red combos are so classic. I wish my calves fit into the tall Hunter boots. Ugh! So Cute! I have a pair of red Hunter boots on my raider for spring! Beautiful look! 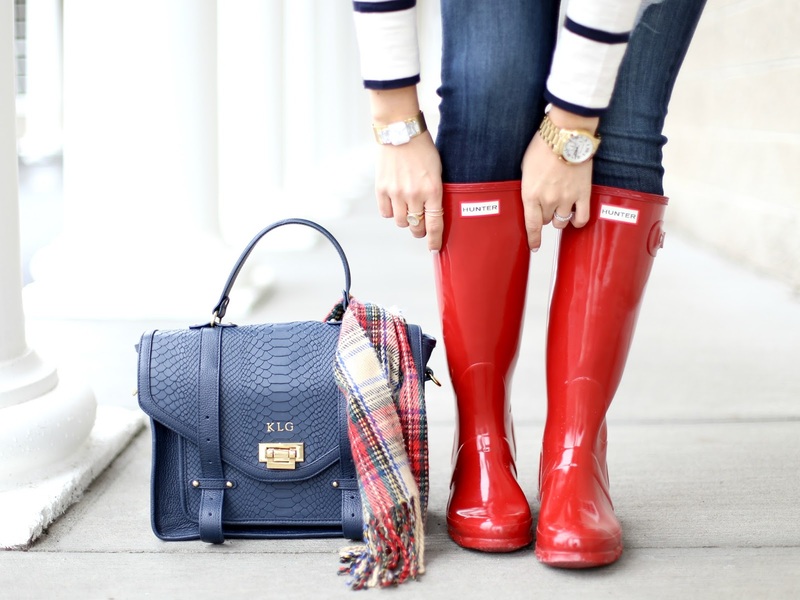 Love the rain boots.